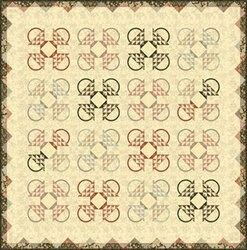 All Charm Packs $6.95 plus up to 45% off Quilt Kits!!! Hey everyone in blog land, I wanted to make sure you knew about our sale in case you don't receive our newsletter. We have all our Charm Packs on sale for $6.95, Quilt Kits on clearance from 45% off like the Luna Notte Quilt Kit below, and more Jelly Rolls and Layer Cakes from $19.95!!! Sale ends Monday night.